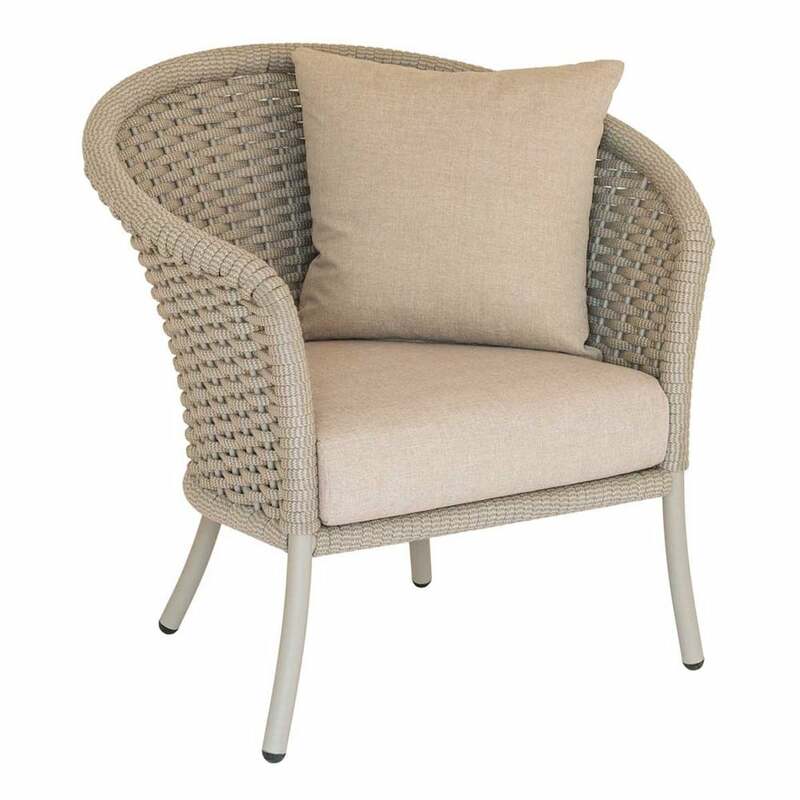 Alexander Rose Cordial Rope Curved Chair: The Alexander Rose Curved Rope Chair is part of the sleek and stylish Cordial Collection which is suitable for both indoor and outdoor use. The Cordial Curved Chair is crafted from aluminium tubular frame which are welded by hand and then finished in a fine texture powder coating to protect against corrosion and comes with a 5 year warranty. The Curved Rope Chairs are then handwoven using an outdoor 100% olefin braided rope in a choice of grey or beige. The Alexander Rose Curved Chair also includes a luxurious and deep seat cushion with a scatter cushion for added support and comfort.